On Sale for $9.75. Contact the Museum for your copy Today! The William E. Swigart, Jr. Automobile Museum relies on the generous support of our many members and friends to preserve our priceless collection of cars and memorabilia. As the Museum continues to expand its educational programming and other public services your help is needed more than ever! Opportunities for support include many levels of museum membership, donations of cars or other memorabilia, corporate and business sponsorships, and other giving options. As a 501(c)(3) non-profit organization all donations are tax-deductible according to IRS regulations. Information about the museum may be obtained from the Pennsylvania Department of State, Bureau of Charities. To make your contribution count even more, check with your employer. Ask if they would match individual donations of financial support or volunteer hours given to non-profit organizations. We welcome all monetary gifts of any amount. 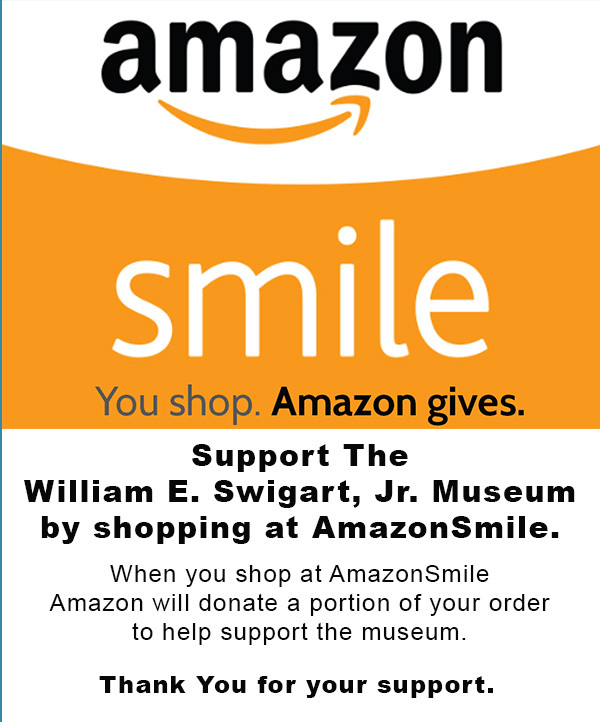 If you would like to donate to the William E. Swigart Automobile Museum we accept donations by phone, or mail. For your convenience we have also added a donation button to donate by credit card. The William E. Swigart, Jr. Automobile Museum is in need of a Larger Trailer to take our antique cars to shows and events. We are asking for your help to accomplish this campaign. Your donation may be by check – mail to: Swigart Museum, Po Box 214 Huntingdon, PA 16652 or by credit card, by calling our offices at (814) 643-2024. The William E. Swigart, Jr. Automobile Museum is a non-profit 501 (c) (3) organization. All gifts to the museum are tax deductible to the extent allowed by law. The official registration and financial information of the Museum may be obtained from the Pennsylvania Department of State by calling toll-free, within Pennsylvania, 800-732-0999. Registration does not imply endorsement. A copy of the organization's form 990, Return of Organization exempt from Income Tax, is available for public inspection.